The return of Stranger Things means another resurgence in mullets and cheesy synths, but if you stop in at Wolverhampton Art Gallery any time over the next month you can tune into a very different 80s experience. Producer and artist Dawinder Bansal has recreated an authentic living room from the period, in an effort to recapture a time when the brave new world of on-demand home entertainment offered countless South Asian families a vital connection with their roots. Bansal’s parents married in India in 1956, and spent the next decade in Kenya before moving to the Whitmore Reans area of Wolverhampton. 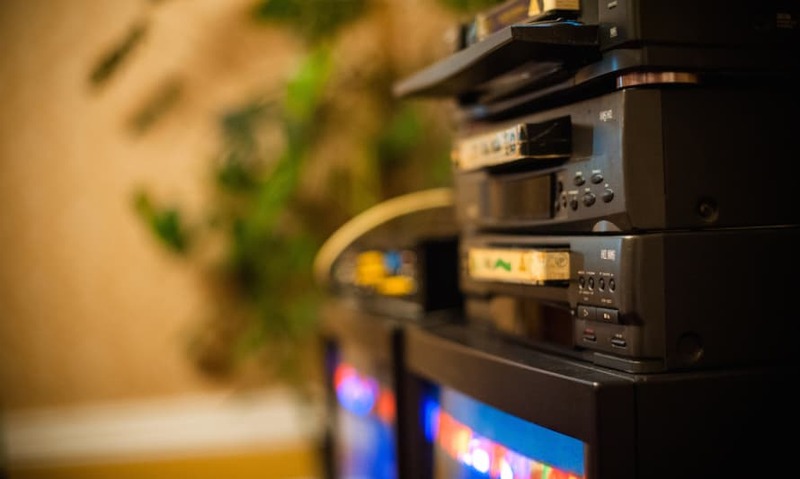 When Avtar Singh Bansal was laid off from the local British Steel plant, he used his redundancy money to set up an electrical shop which soon began to tap into the VHS boom. By the time the 80s dawned Bansal Electrical was doing a roaring trade renting out Bollywood movies, charging a pound a night or 50p if you selected one of their many under-the-counter bootleg copies. Dawinder reveals her own childhood role as a video pirate and the laborious process of sticking fake certificates onto pre-cert movies. Since then she has been excavating the contents of her father’s archive to help shape the ‘Jambo Cinema’ installation, and now you can pull up a chair and attempt to imagine a time before Netflix – a time when the top-loading VHS deck was a shining beacon which could entice multiple families crowding into one lounge. Jambo Cinema is Kenyan for ‘Hello Cinema’, and the project is a celebration of film’s power to bring people together. Part of the aim is to gather stories from that time, so if you have VHS memories of your own stop in at the gallery, use the hashtag #JamboCinema, or get in touch via Dawinder's website or twitter page. Jambo Cinema runs at Wolverhampton Art Gallery until 26 November as part of the Funny Things Festival. Dawinder Bansal will also be taking part in a discussion about Asian video culture at mac Birmingham on 19 November from 3pm.